Charles Alston's Modern Medicine is situated opposite his Modern Medicine, offering contrast and dialogue between traditional and modern healing practices. The diptych imagines the history of healing and medicine in Africa and the United States. Modern Medicine focuses on Western medicine and issues of racial integration. 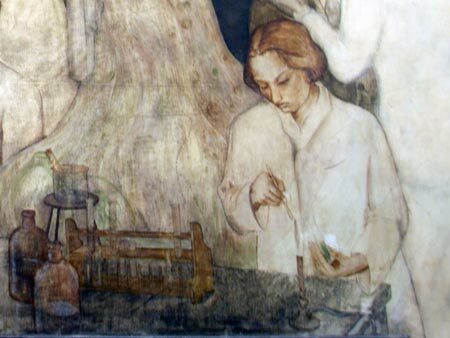 The panel includes a variety of scientific instruments and portraits of the fathers of Western medicine, including microbiologist Louis Pasteur and a surgeon modeled after Louis T. Wright, the first African American physician appointed to the hospital staff and a personal friend of Alston. 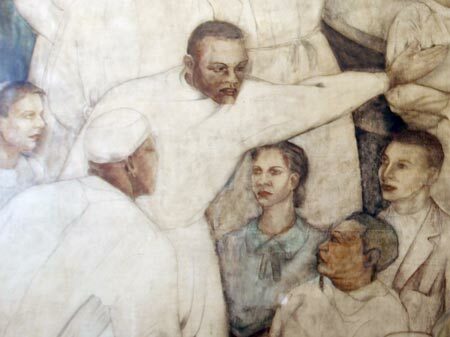 A staunch advocate for racial inclusion, Wright had earlier privately funded publicity about the hospital superintendent's refusal to approve sketches for four of the murals because of their African American content. 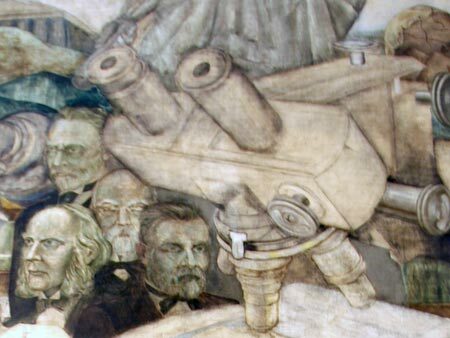 Wright was also committed to integrating the hospital staff, and Alston's mural seems to anticipate the changes ahead. 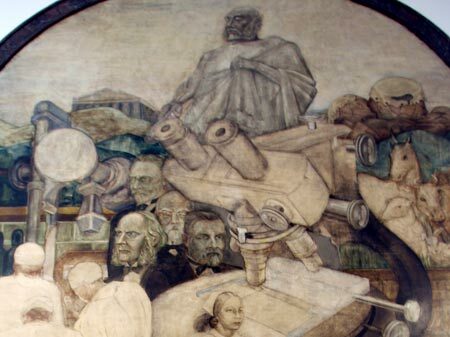 Indeed, when asked about this panel in 1940, Alston said that his goal was to "show the different races working together on the same basis with an absolute lack of discrimination, illustrating the sheer objectivity of science." Integration at the hospital was also of personal interest to Alston, whose future wife, Myra Logan, was an intern there. 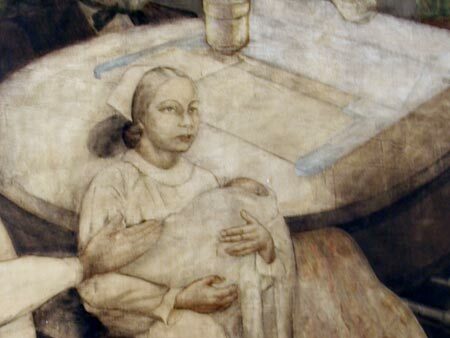 In fact, Logan makes an appearance in the mural—as a nurse holding a baby. Detail, Charles Alston, Modern Medicine, oil on canvas, 1940.